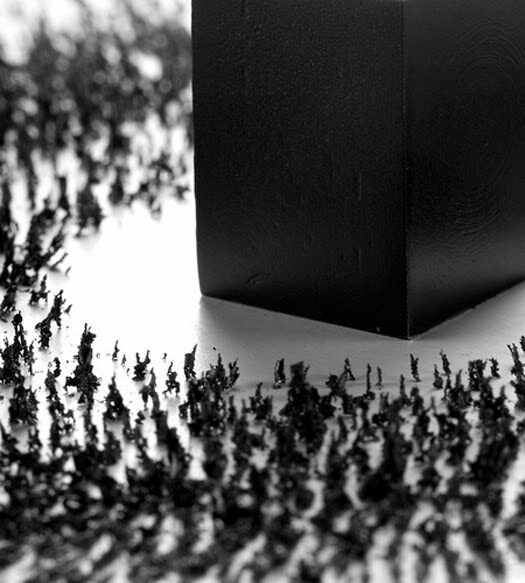 The idea is simple and, like its central element, forcefully attractive. 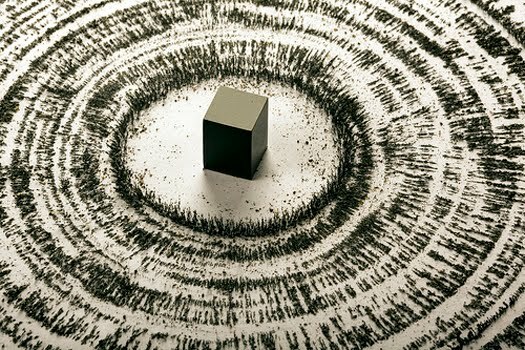 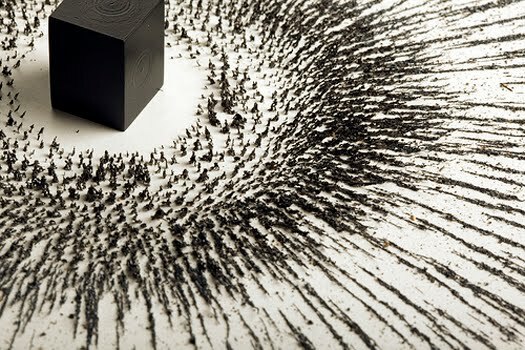 Ahmed Mater gives a twist to a magnet and sets in motion tens of thousands of particles of iron, a multitude of tiny satellites that forms a single swirling nimbus. 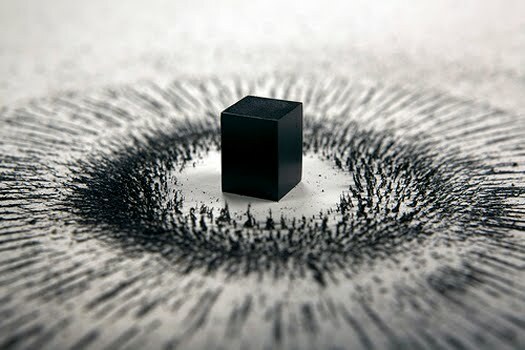 Ahmed compares this with the images of the Hajj, the great annual pilgrimage of Muslims to Mecca.